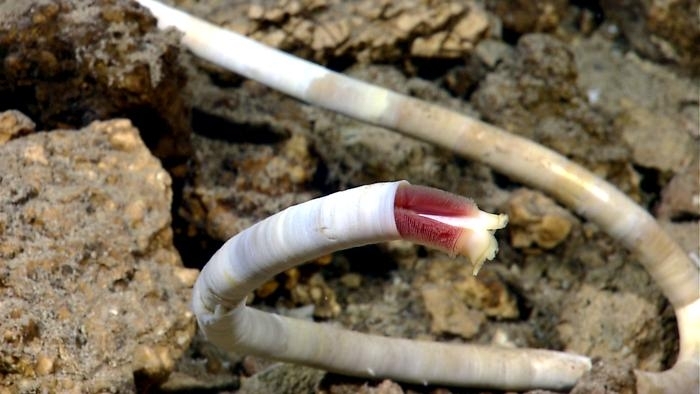 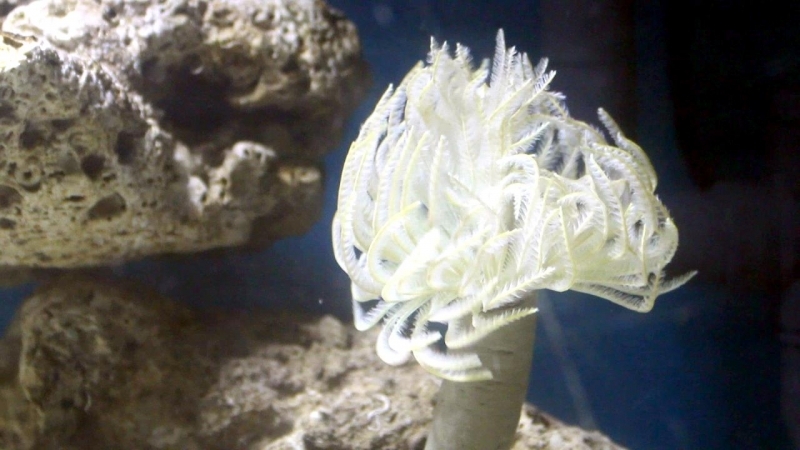 The Giant Tube Worm was totally unknown to science until researchers exploring the deep Pacific Ocean floor discovered strange hydrothermal vents. 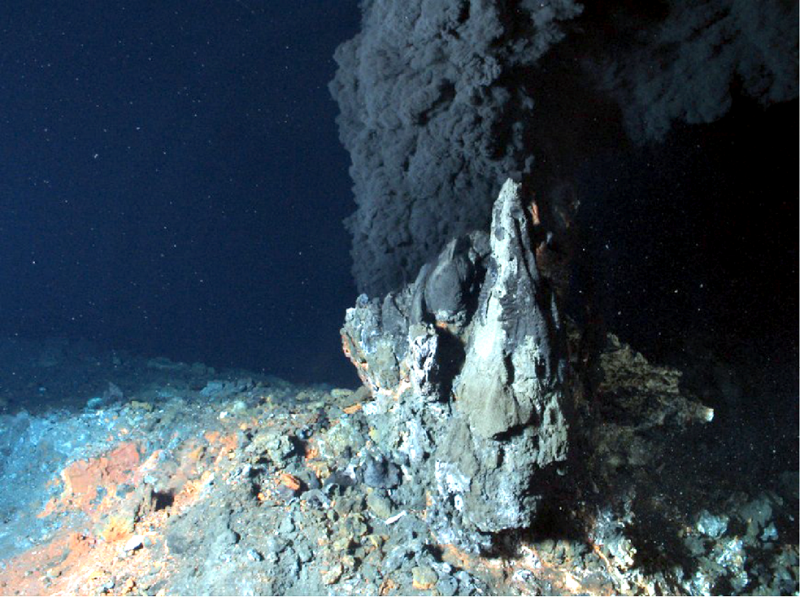 Powered by volcanic heat, these vents recirculate water that seeps down through cracks or faults in the rock. 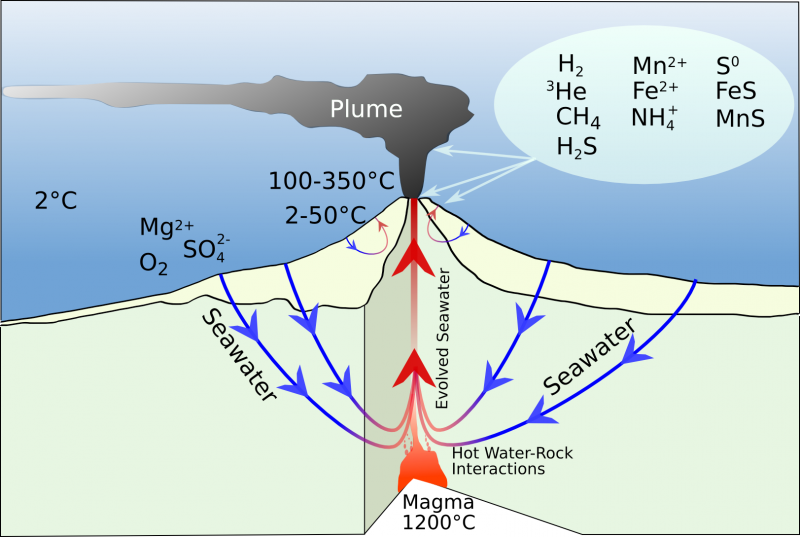 When the water emerges from the vent, it is rich in chemicals & minerals. 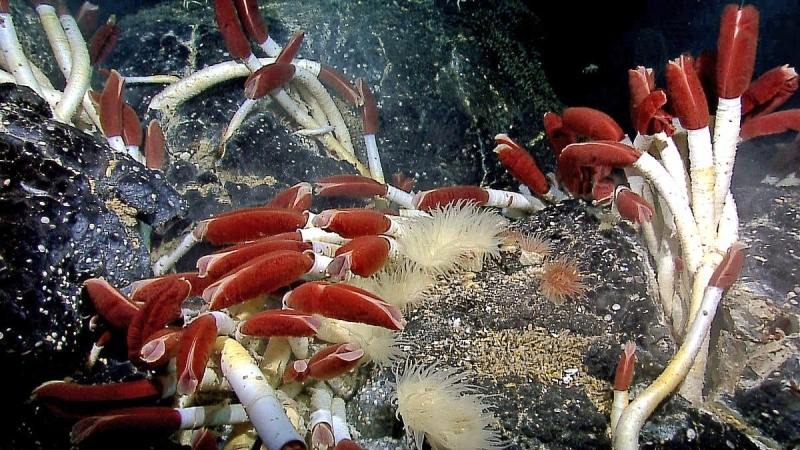 This toxic soup of chemicals would be lethal to most animals, so scientists were shocked to find entire ecosystems of animals living around these vents. 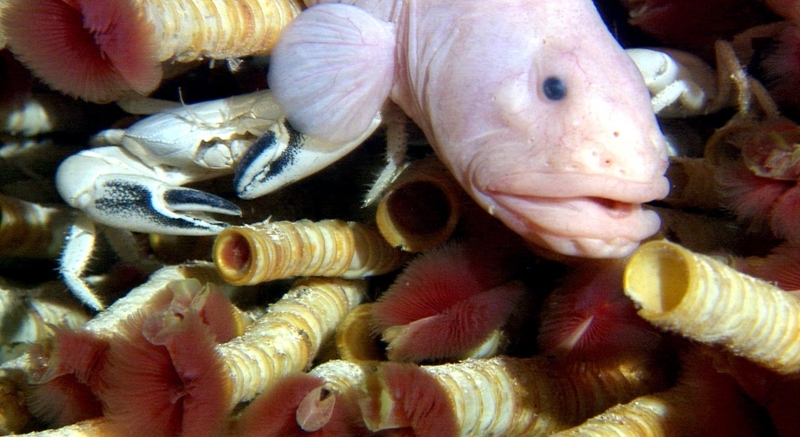 In spite of the near boiling temperature of the water, these animals were thriving in the complete absence of light. 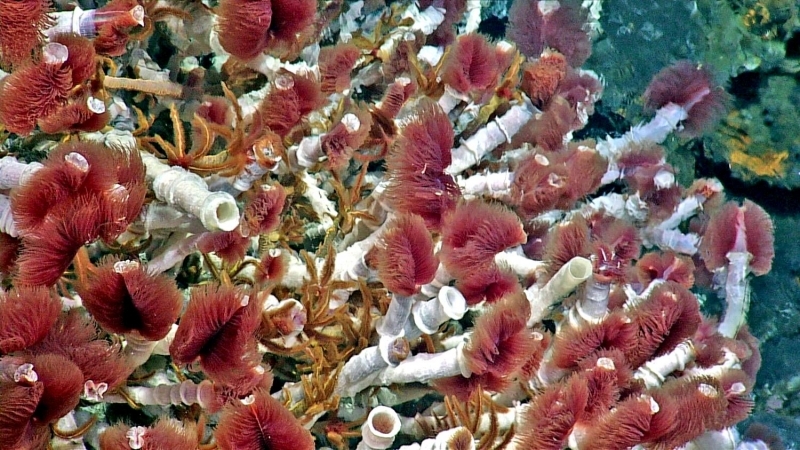 The organisms that live near these vents are unique because unlike all other living things on earth, they do not depend on sunlight for their source of energy. 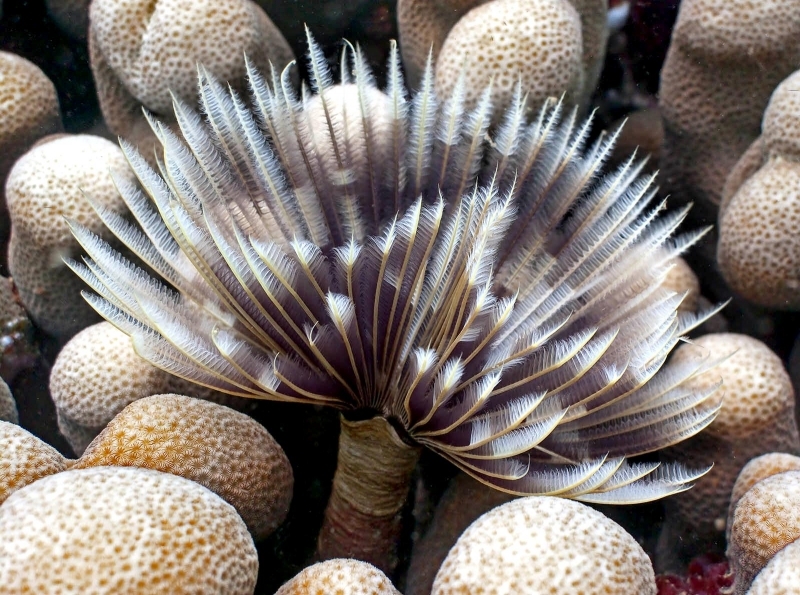 Instead, they feed on tiny bacteria that get their energy directly from the chemicals in the water through a process known as chemosynthesis. 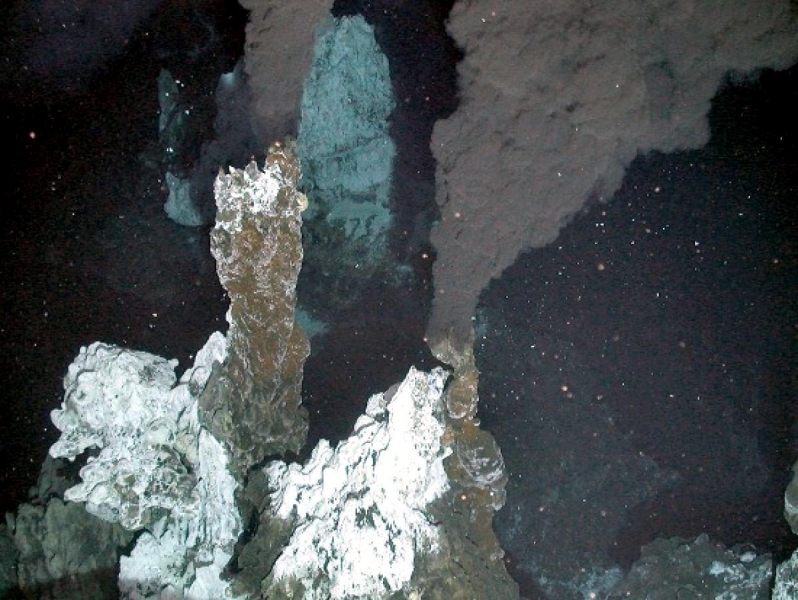 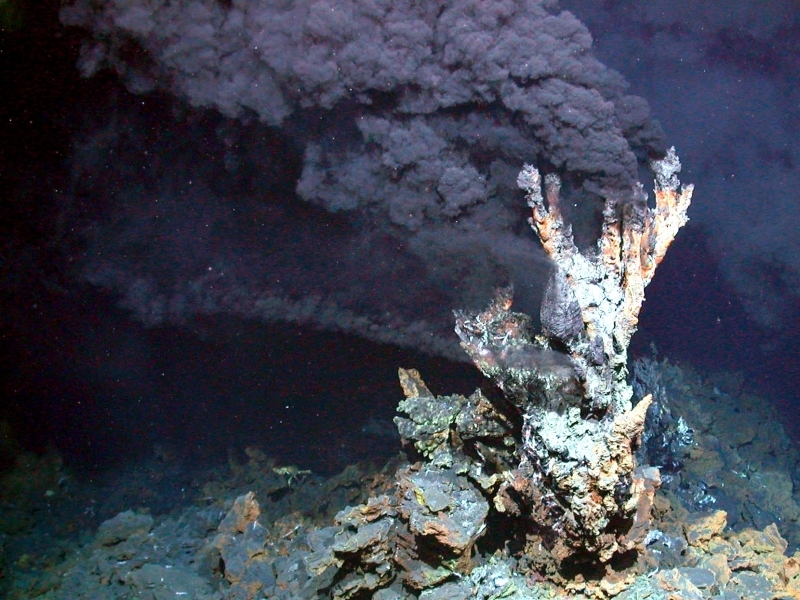 These hydrothermal vents are known as “black smokers” because of the dark color of the material they eject. 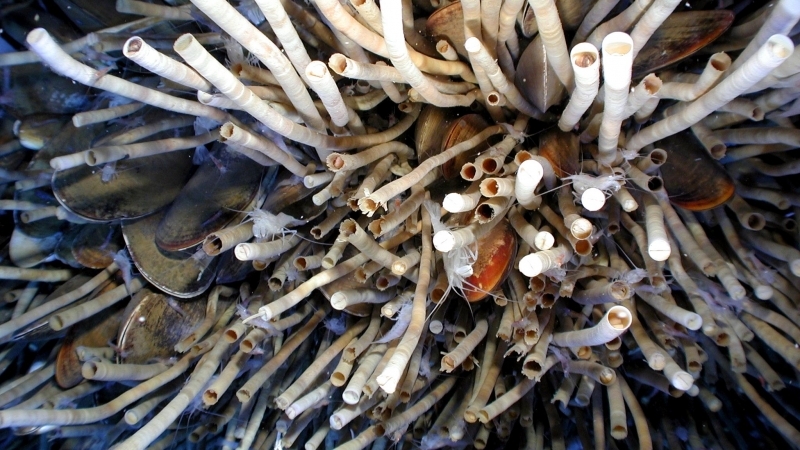 Giant Tube Worms grow up to 8 feet (over 2 meters) in length and have no mouth or digestive tract. 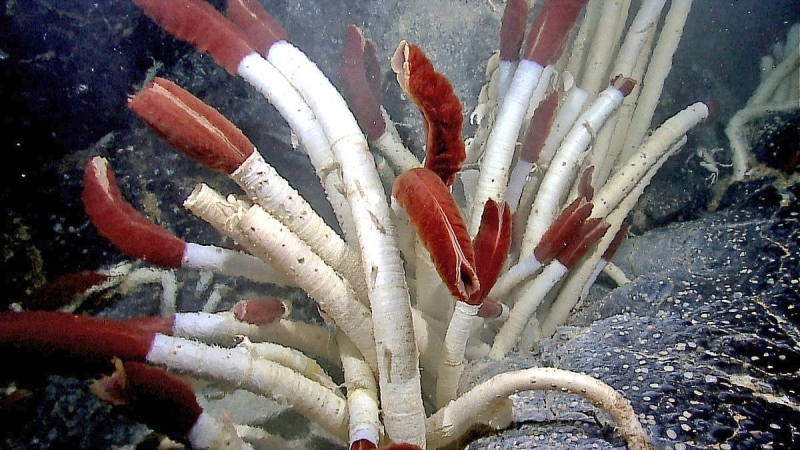 They depend on bacteria that live inside them for their food. 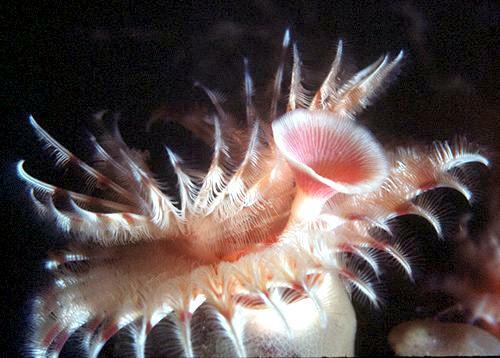 This type of mutually beneficial relationship between 2 organisms is known as symbiosis. 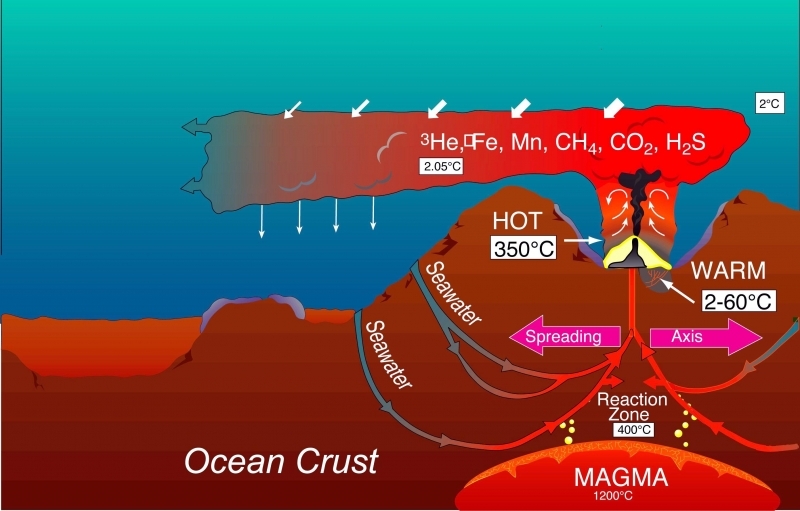 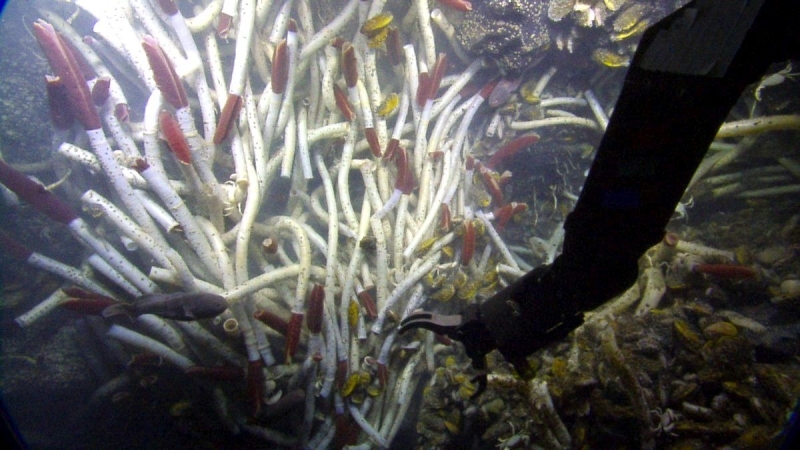 The bacteria actually convert the chemicals from the hydrothermal vents into organic molecules that provide food for the worm. 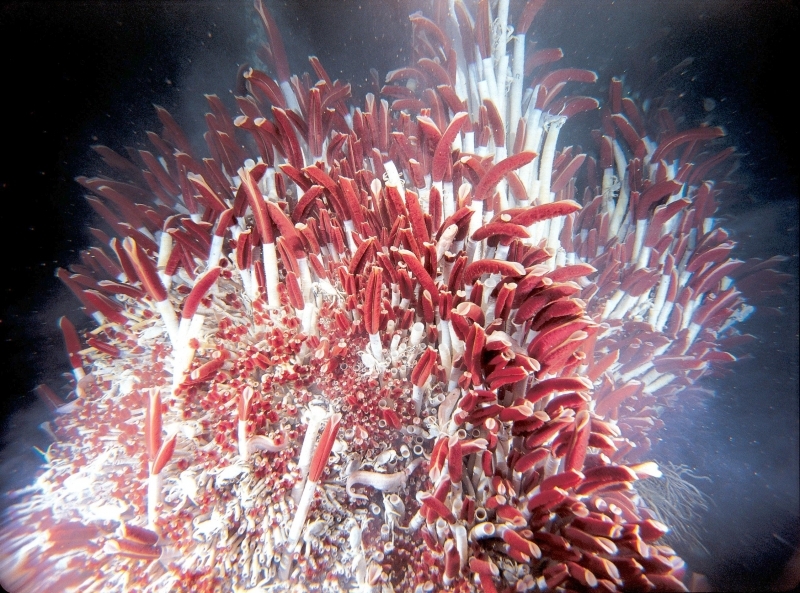 Perhaps the most noticeable characteristic of Giant Tube Worms is their bright red plume. 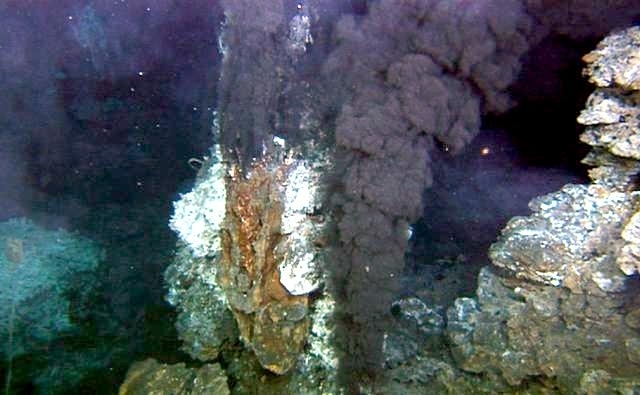 This is a specialized organ used for exchanging compounds such as oxygen, carbon dioxide and hydrogen sulfide with the seawater. 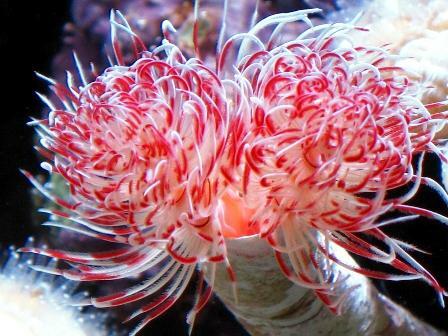 The bright red color comes from the presence of large amounts of hemoglobin (blood). 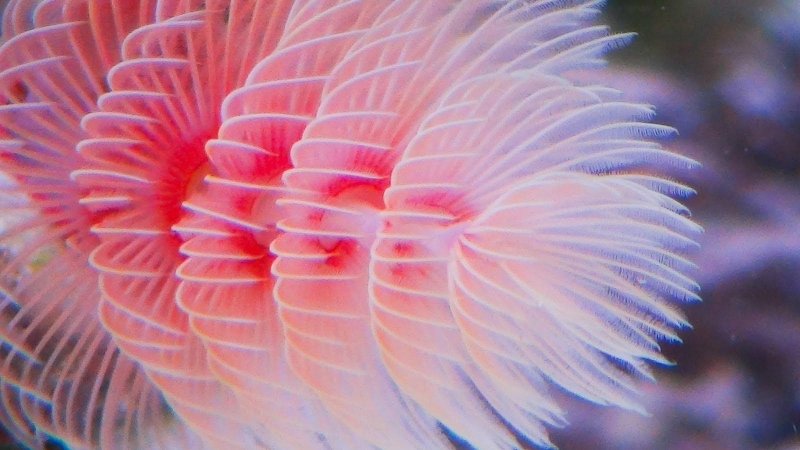 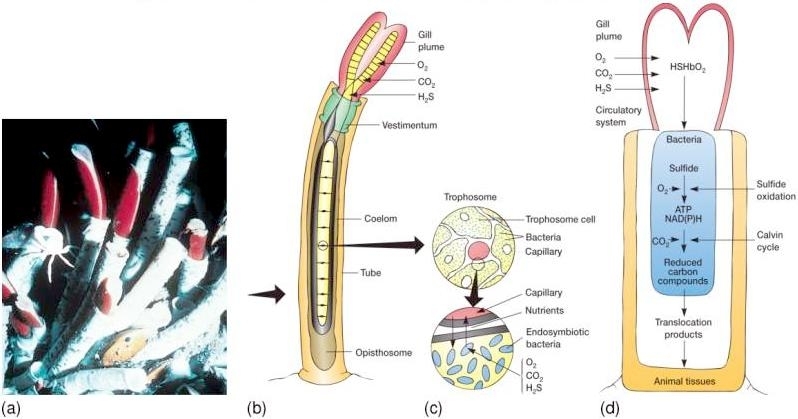 It is this plume that provides nutrients to the bacteria that live inside the worm. 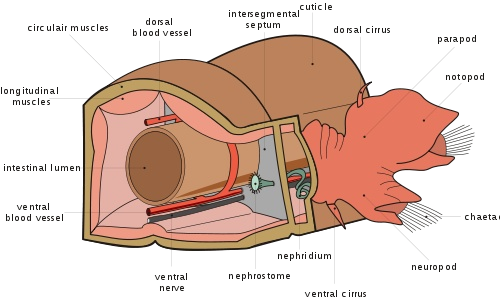 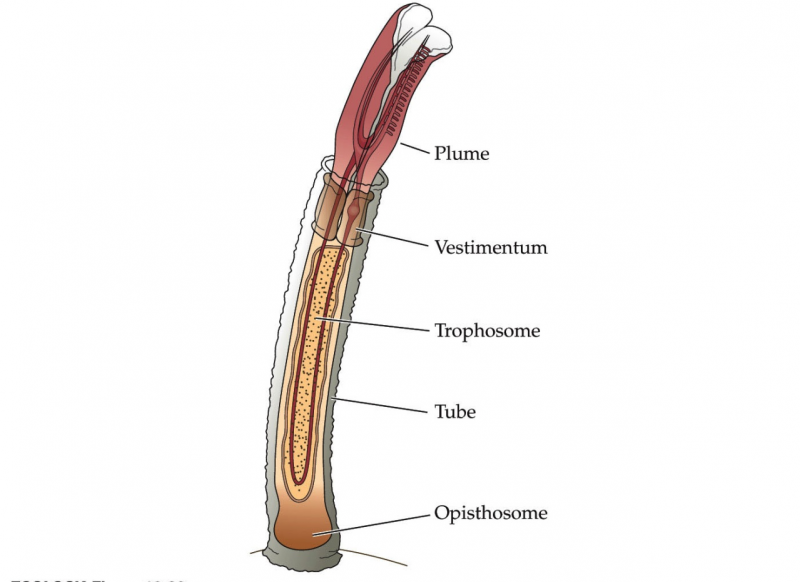 The outer tube of the worm is made from a tough, natural substance called chitin. 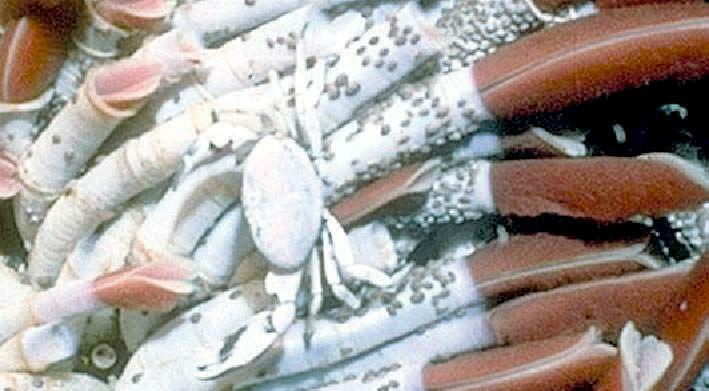 Chitin is also the main component in the exoskeletons of crabs, lobsters and shrimp. 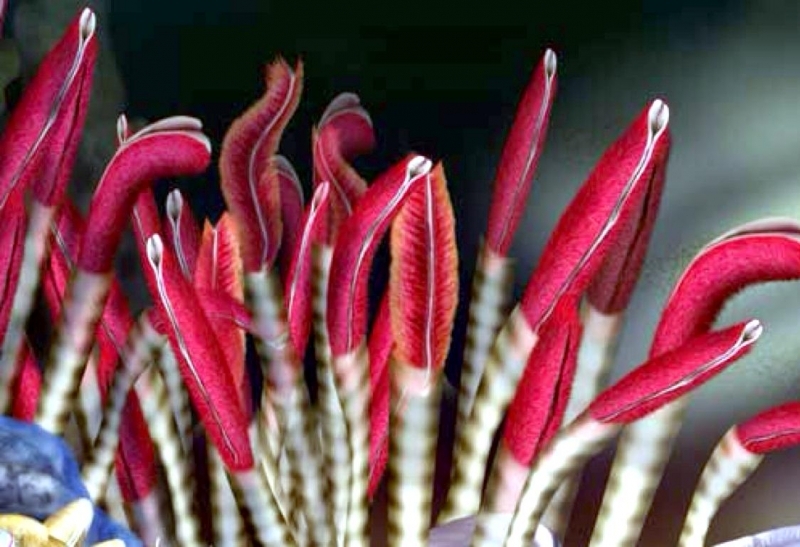 Although the worm Giant Tube Worms have no eyes, they can sense movement & vibrations and will retreat into their protective tubes when threatened. 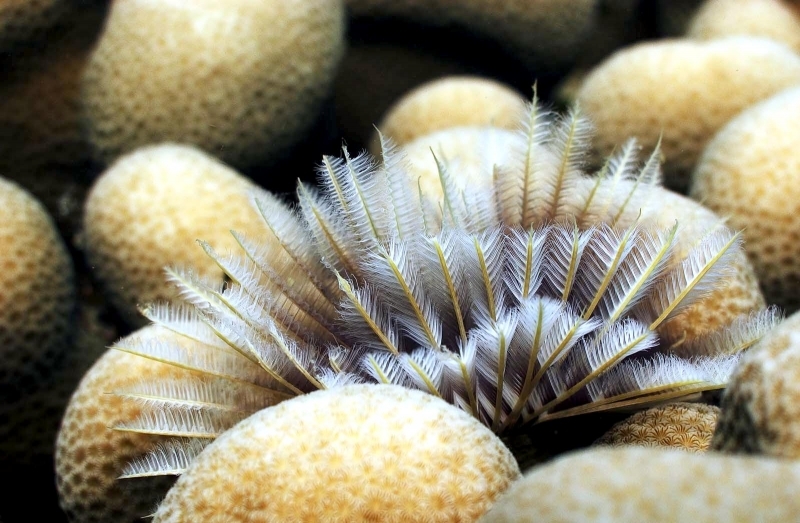 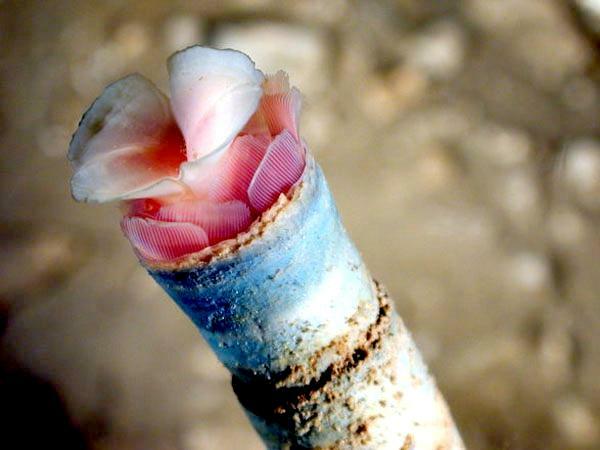 Giant Tube Worms reproduce by releasing their eggs into the water to be fertilized. 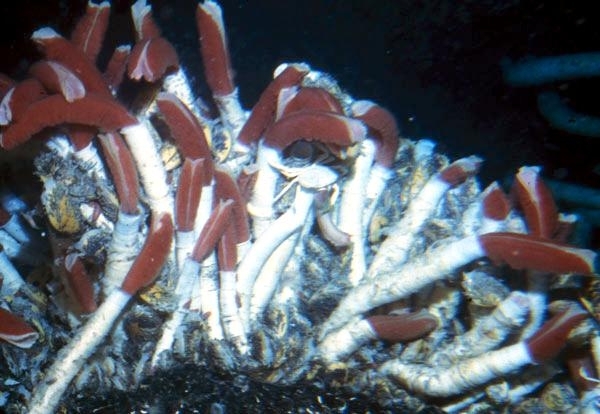 After hatching, the young larvae swim down and attach themselves to rocks. 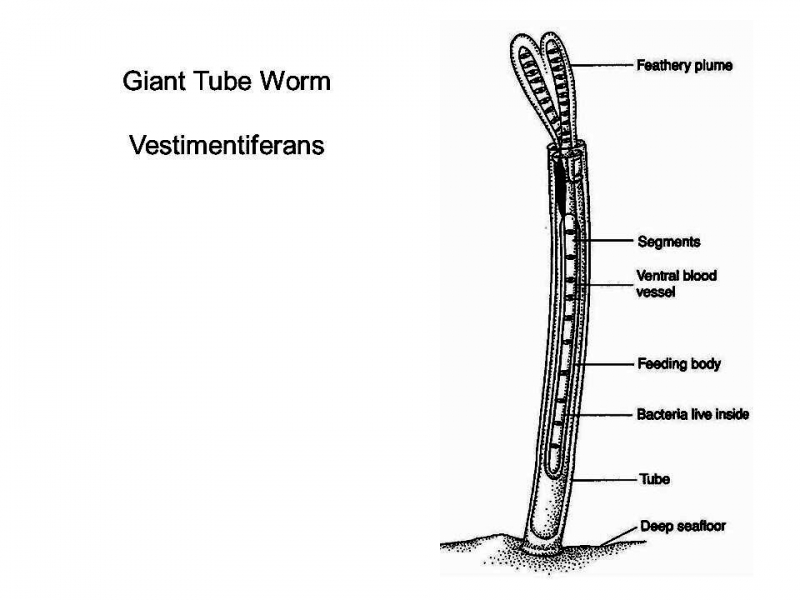 As the larvae develop into tiny worms, they temporarily develop a primitive mouth & gut through which the symbiotic bacteria enter. 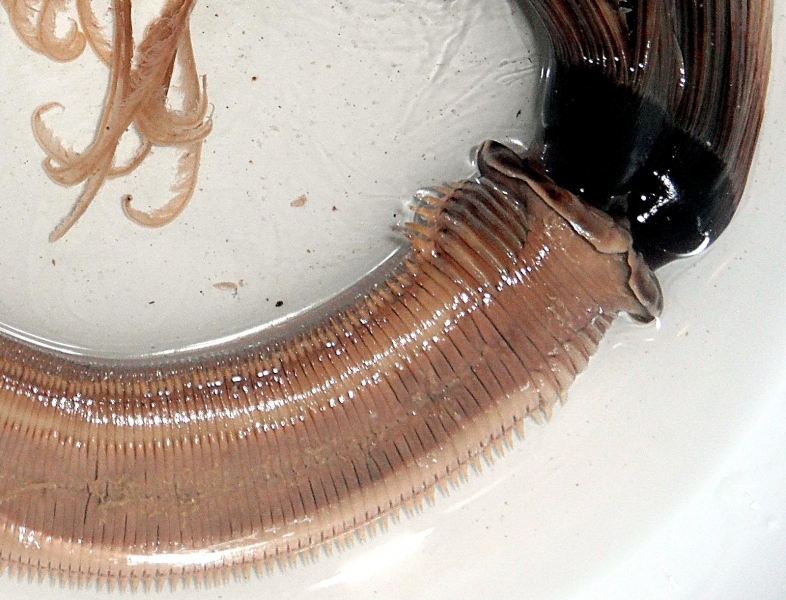 As the worm grows older, the mouth & gut disappear trapping the bacteria inside. 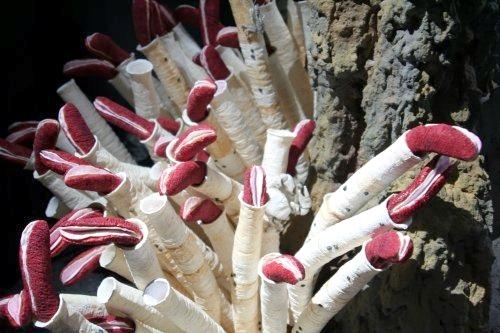 Giant Tube Worms have been found throughout the Pacific Ocean where deep sea hydrothermal vents have been discovered. 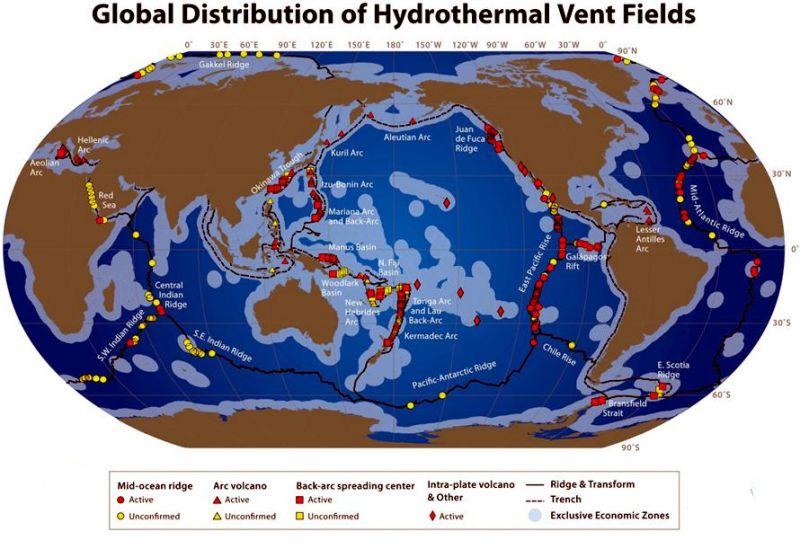 The average depth of these vents is 5,000 feet (1,500 meters). 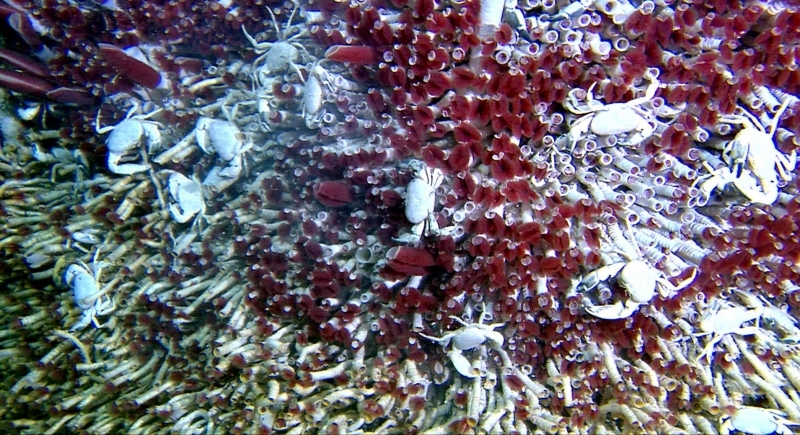 Entire communities of shrimps & crabs have been found living around these giants. 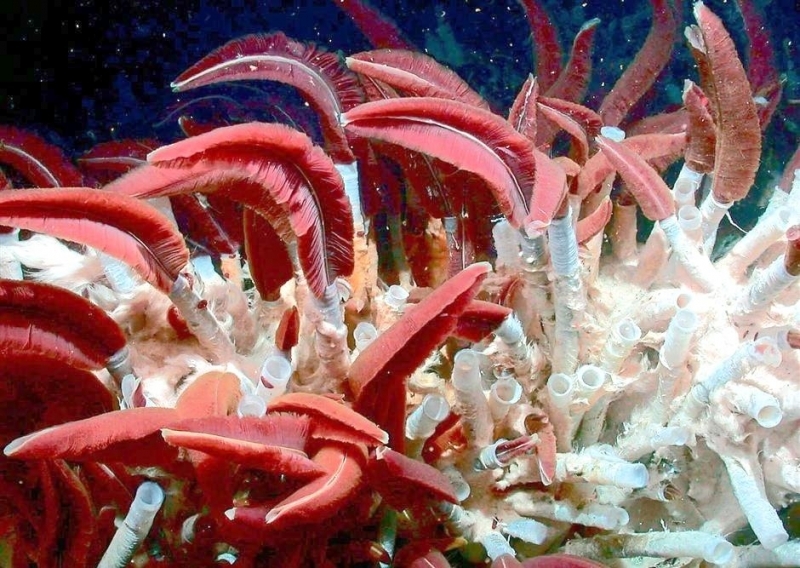 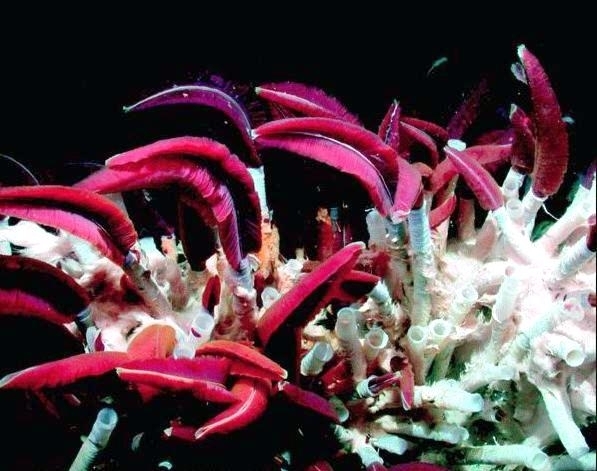 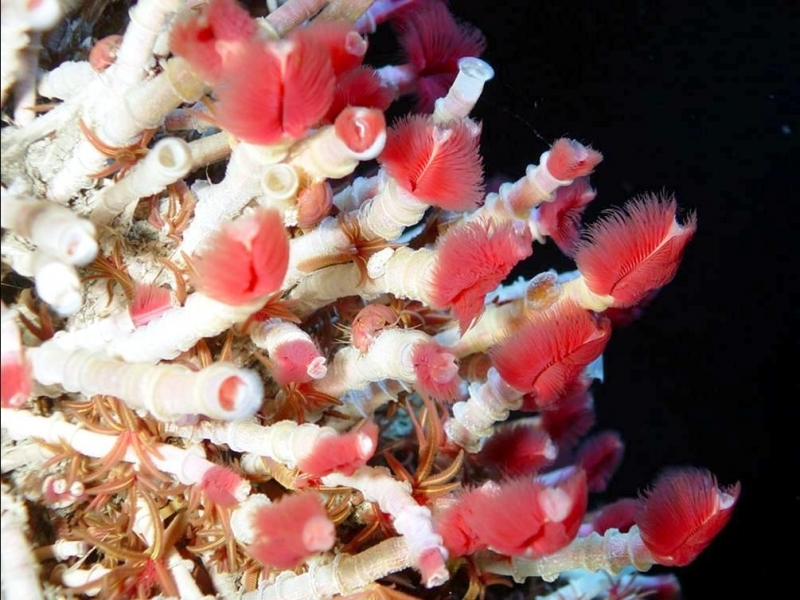 It is believed that these invertebrates feed by nibbling off bits of the Giant Tube Worm’s red plumes. 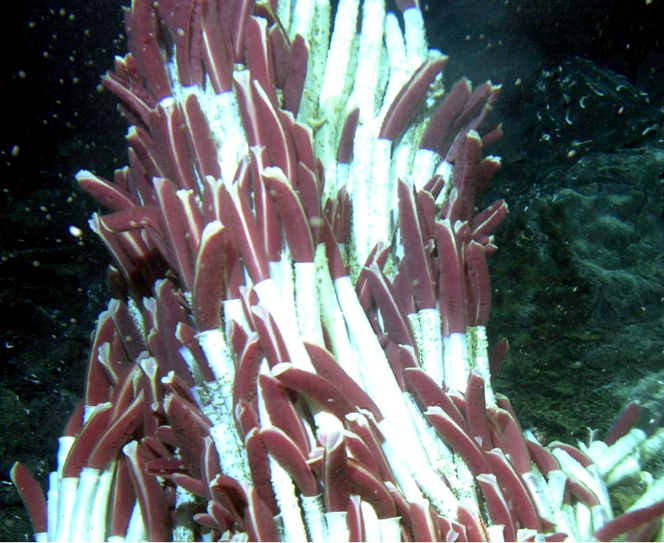 As amazing as these vent ecosystems are, they are also extremely fragile. 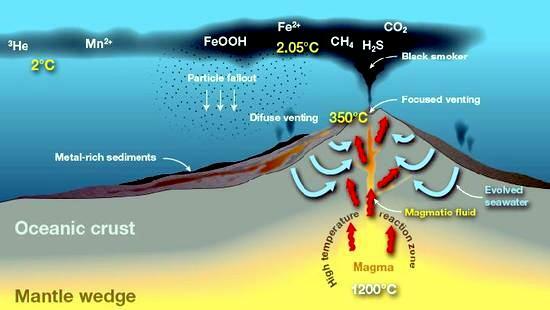 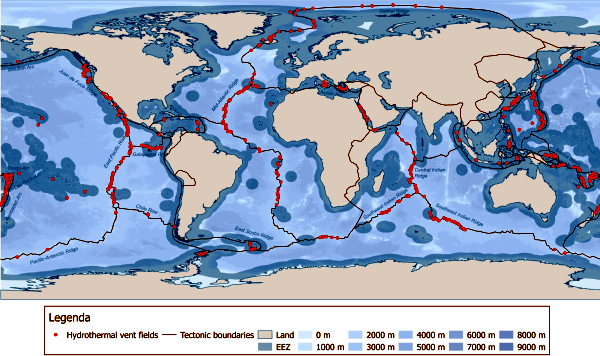 As the Earth’s crust shifts due to geothermal activity, the supply of chemicals through the vents can be cut off. 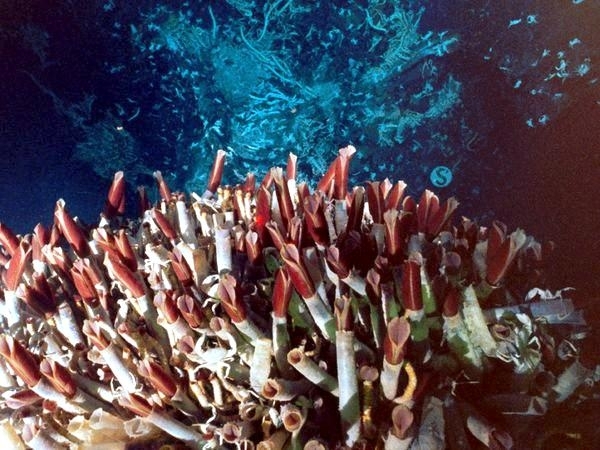 When this happens, all of the incredible creatures that depend on these chemicals will wither & die. 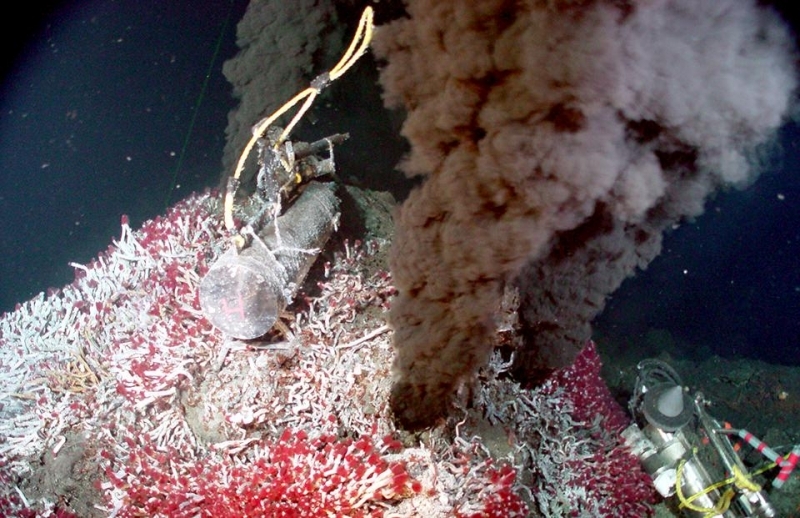 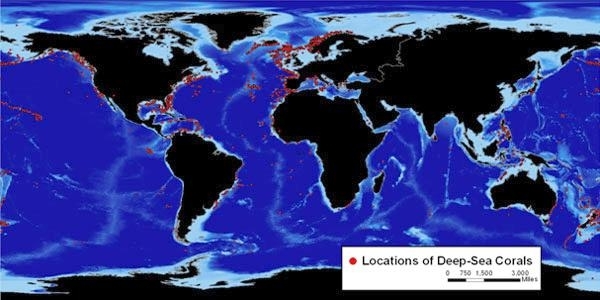 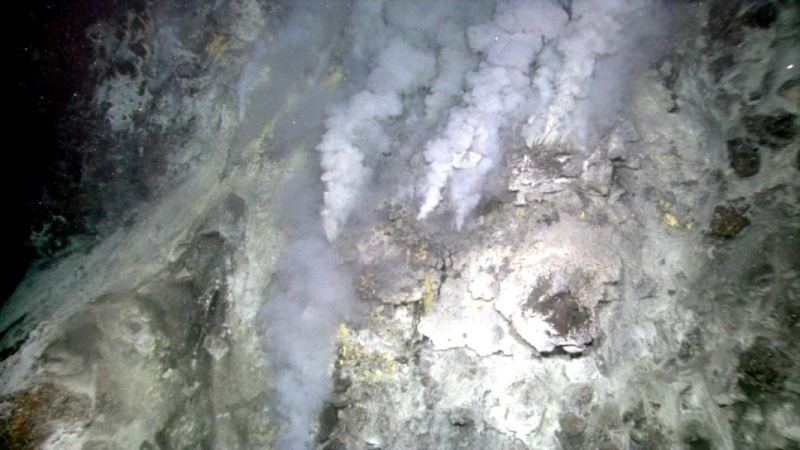 Scientists have returned to once thriving vent sites only to find them completely cold & dead but the cycle begins again when new hydrothermal vents begin to grow elsewhere on the deep sea floor.